Jared Chan has built an incredible scene here. 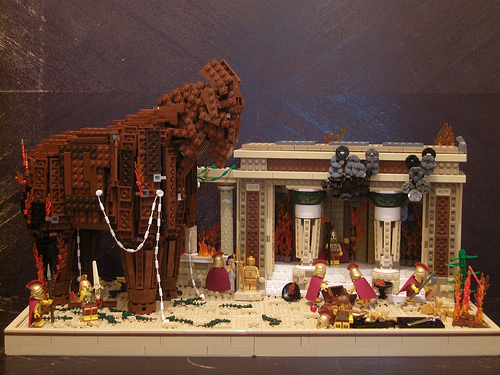 The Trojan Horse, the buildings and the action of the figs are all good, but together they add up to something greater than the sum of the parts. Very nicely done. Wow, big house ! It’s nice. Nice build and all, but that ‘horse’ looks awfully like a goat to me.